So, you and your band have just did an album that you are really proud of. This is perhaps what drew you to this decision in the first place. The picture frame quality of the album art, the pride of holding an actual physical record in your hands, and the fantastically warm, rich sound coming from your speakers or headphones once the needle drops. 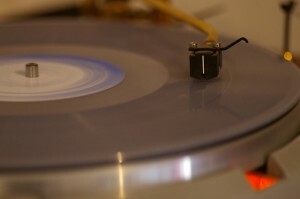 Vinyl has a certain authenticity that CD’s, MP3’s or streaming services simply can’t deliver. This legitimacy is amplified when you have the opportunity to release your own. The feeling of releasing an actual record is certainly exciting. Another important factor to consider is whether or not your audience is the kind that buys vinyl. It’s no question that CD’s and digital purchases will make up the majority of sales of course, but you could very well turn a profit with vinyl as well. If your audience is willing to go the extra mile with their passion for music, by all means, go for it. Like the rest of their collection, dedicated fans will tout your album as physical proof of their love for your music. Furthermore, if you happen to be releasing electronic music, or dance music of any other genre, you’ve got a built-in audience with DJ’s who predominantly use vinyl in their set. Whatever your demographic, cater to them accordingly. 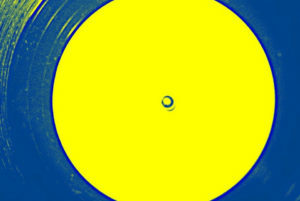 Perhaps one of the most interesting and baffling trends of the music industry is the recent rise in vinyl sales. With the number growing every year, and pressing plants occasionally even struggling to keep up with demand, musicians of obscurity and popularity alike are given assurance that today, releasing an album on vinyl is a worthy investment. Even though CD’s and downloads still outsell vinyl by a landslide, due to being cheaper and much more convenient, vinyl sales soar well into the millions each year. Another sign that you and your band are ready is an awareness of the amount of effort and the risk that comes with releasing on vinyl. A significant level of dedication and patience is required when dealing with the process of pressing an album. It must first be mastered specifically for the format, and once that’s done, each copy must be cut, pressed, and assembled from scratch at a cost and time frame greater than any other medium. Even then, unless your company or label is working with the best and most expensive equipment, this from-scratch method comes with the potential for loads of errors which can hinder progress. Understanding the process can help a lot with easing frustration if something does go wrong. With all that said, the very act of releasing an album on vinyl shows that your willing to overcome the risk and effort in order to make something “real.” Your own passion and commitment to your music will show, in addition to that of your audience. A musician’s first vinyl release is something to be proud of, and a significant milestone to have under your belt. Independent Music Promotions is a highly respected music PR and music marketing company. We have spent years building our music industry contacts, which allows us to promote our clients in the most prestigious print publications and online digital media. We represent an international roster of "musicians with depth" from a broad spectrum of musical genres. These innovative and unique musical talents deserve to be heard, and we help promote them on the world stage. Read more about Independent Music Promotions. Copyright © 2017 - Independent Music Promotions. All rights reserved.